Feeling a bit lazy this past Saturday and you know what, I hate feeling lazy. The sun was out, a bit muggy and icky but at least the sun was out and I wanted to be outside doing things. 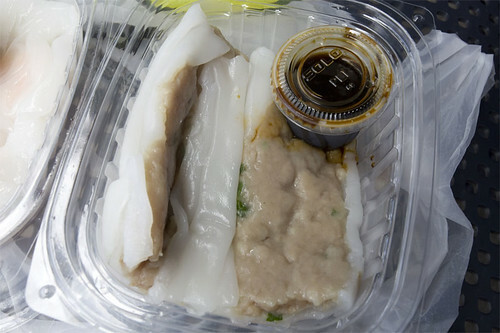 Recently I found out that there is a guy in Sunset Park, 61st St and 8th Ave right outside of the 8th Ave stop on the N train that makes FRESH rice rolls with his rice roll cart. Rice rolls aka cheung fun, if you don’t know, is a thin piece of rice flour crepe steamed, rolled up with beef, shrimp, fish, roast pork or plain and served with soy sauce at dim sum places. 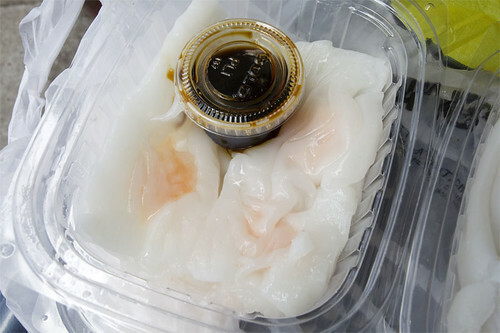 Rice rolls are pretty much up at the top of my dim sum must eats along with siu mai, tunrip cakes, chicken feet and ja leung. My favorite rice roll has to be the roast pork but for some reason its rare to find them in NYC, why is that? I think my next favorite would be fish. Hmmmm. Anyways, so by 11am I was off on my rice roll cart hunt! Guess what?! The cart/guy wasn’t there at 61st St and 8th Ave. He wasn’t there at all. Ugh. 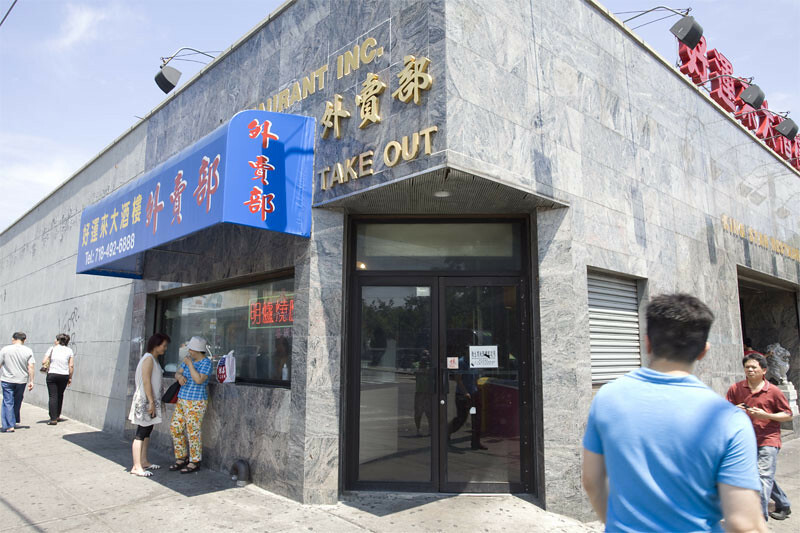 Took me a good 30mins to get to Sunset Park and I wasn’t going to leave until I fill my stomach up with good cheap Chinese food. I was walking up and down on 8th Ave trying to figure out what I wanted to eat but I just couldn’t keep my mind off of rice rolls. I really really wanted some rice rolls. I turned around and started to head over to King Star, 61st St and 8th Ave, this was the first Brooklyn place I had dim sum at few years ago. The quality is okay and the place is loud, crowded and dirty which is A+ in my definition of a dim sum restaurant. I walked in and was surprised to find a pretty calm King Star, usually at that time there would be a large crowd standing by the door waiting for their number to be called. I remembered they do take-outs but when I walked in I noticed they had moved some stuff around and the lady behind the counter definitely didn’t look like she was taking to-go orders but I asked her anyways about to-go orders. She told me to walk back and make a left and so I did. What I found was a narrow corridor that was carved out just for take-outs, sweet! For $5.25 I got 1 order of shrimp and 1 order of beef rice rolls. I sat down on a bench outside an office building couple blocks from King Star. 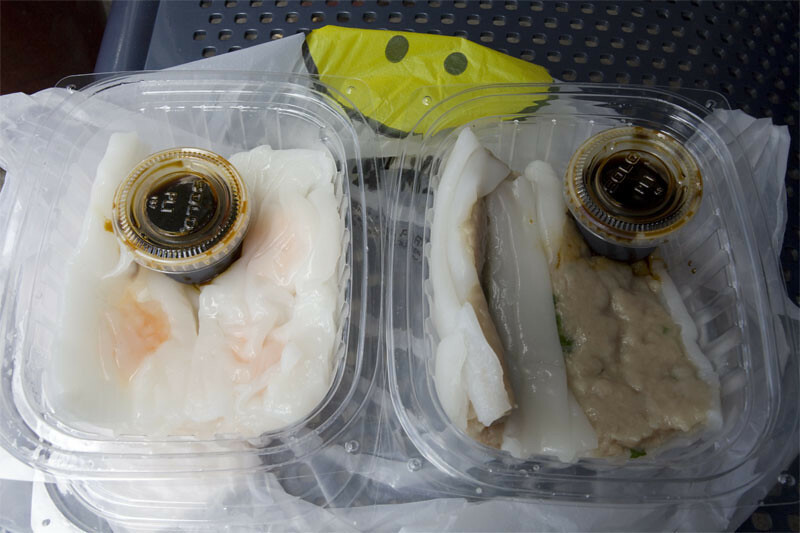 I took out and opened the 2 plastic containers and poured some soy sauce onto both rice rolls. I quickly dug in because I was damn hungry. Hhhmmmmmm both rolls were quite good but the rice crepe part was a bit chewy/sticky. Though that may had just been the rolls sitting too long inside the sauna, the food sauna. Damn I wish I was in a food sauna. After eating the rice rolls from King Star, I thought about what if I do a rice rolls comparison? 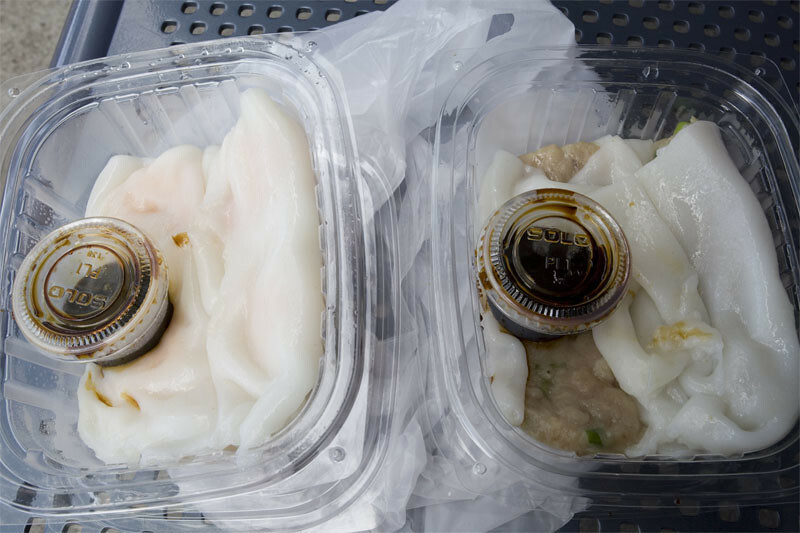 Get rice rolls from another place and compare them to King Star’s. Or I just wanted an excuse to eat MORE rice rolls, love those stuff. So then I found Bamboo Garden Restaurant down the street from where I found the bench. I walked in and the take-out area was right at the entrance. I got the shrimp and beef rice rolls, total was $5.50. I walked back to my bench and started to eat the rice rolls. The beef rolls from both places tasted identical but the rice flour crepe from Bamboo Garden Restaurant was silkier. As for the shrimp rice rolls there were slight differences. The shrimps that Bamboo Garden Restaurant used had more of a crunch compared to the shrimps from King Star. Also, I tasted a slight extra seasoning in the shrimp rice rolls from Bamboo Garden Restaurant which made it pretty good even without the soy sauce. But in the end both places served up some pretty good cheung funs, I was just being picky for the sake of this blog post. While eating the cheung funs I thought about the soy sauce. 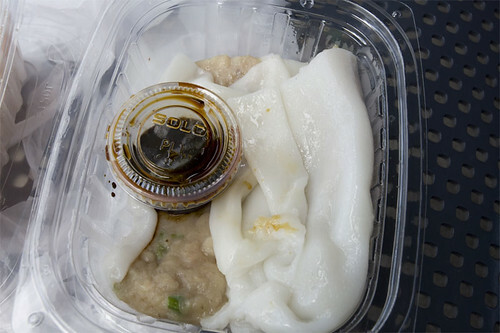 Have you ever eaten the cheung funs without the soy sauce? Why do the dim sum cart ladies pour the soy sauce regardless? I never thought about questioning that. 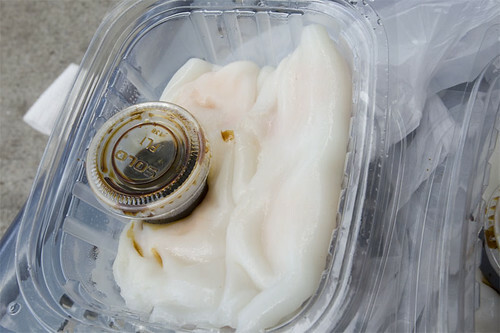 I mean they don’t pour soy sauce onto the shrimp dumplings and they’re similar to the shrimp cheung funs. Why why why?